As told in the post Business Entity Identifiers there has been a new global numbering system for business entities on the way for some time. The wonder is called LEI (Legal Entity Identifier). 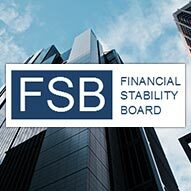 The implementation work has been adapted by the Financial Stability Board. The latest developments are reported in a publication called Fifth progress note on the Global LEI Initiative. Surely, while the implementations may be in good hands, the set up doesn’t give hope for a speedy process where every legal entity in the world in a short time will have a LEI. And then the next question will be how long it will take before organizations will have enriched existing databases with that LEI and implemented on-boarding processes where a LEI is captured with every new insertion of party master data describing a legal entity. A good way to start to be prepared will be to implement features in on-boarding business processes where available external reference data are captured when new party entities are added to your databases. Having best available information about names, addresses and business entity identifiers available today and a culture of capturing such information will be a great starting point. And oh, the instant Data Quality concept is precisely all about doing that. The least cumbersome way of uniquely identifying a business partner being a company, government body or other form of organization is to use an externally provided number. However, there are quite a lot of different numbers to choose from. In some counties, like in Scandinavia, the public sector assigns a unique number to every company to be used in every relation to the public sector and open to be used by the private sector as well for identification purposes. As reported in the post Single Company View I worked with the early implementation of such a number in Denmark way back in time. In most countries there are multiple systems of numbers for companies each with an original special purpose. 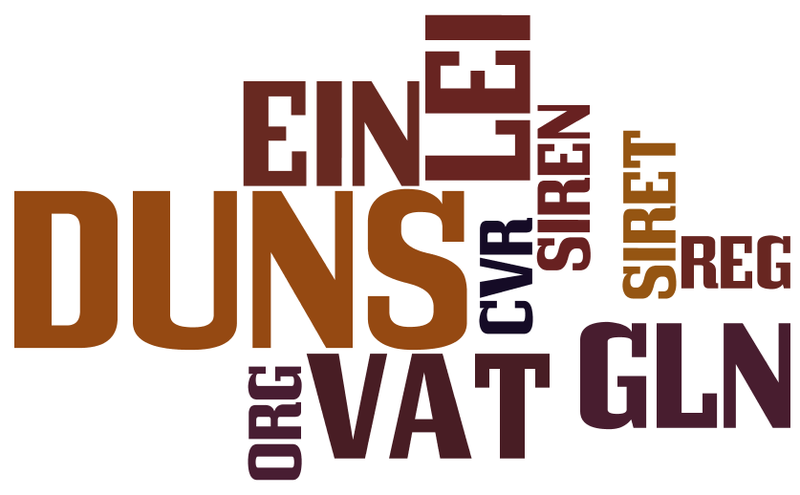 Examples are registration numbers, VAT numbers and employer identification numbers. My current UK company has both a registration number and a VAT number and very embarrassing for a data quality and master data geek these two numbers have different names and addresses attached. The best known business entity numbering system around the world is probably the DUNS-number used by Dun & Bradstreet. As examined in the post Select Company_ID from External_Source Where Possible the use of DUNS-numbers and similar business directory id’s is a very common way of uniquely identifying business partners. In the manufacturing and retail world legal entities may, as part of the Global Data Synchronization Network, be identified with a Global Location Number (GLN). There has been a lot of talk in the financial sector lately around implementing yet a new numbering system for legal entities with an identifier usually abbreviated as LEI. Wikipedia has the details about a Legal Entity Identification for Financial Contracts. These are only some of the most used numbering systems for business entities. So, the trend doesn’t seem to be a single source of truth but multiple sources making up some kind of the truth. The definition of data quality as being ”fitness for use” is challenged. “Real world alignment” or similar expressions are gaining traction. Back in May Malcolm Chisholm made a tweet about the shortcomings of the “fitness for use” definition reported here on the blog in the post The Problem with Multiple Purposes of Use. Last week the tweet was elaborated on the Information Management article called Data Quality is Not Fitness for Use. Today Jim Harris has a follow post called Data and its Relationships with Quality. When working with data quality in the domain with far the most data quality issues being the quality of contact data (customer, supplier, employee and other party master data) I have many times experienced that making data fit for more than a single purpose of use almost always is about better real world alignment. Having data that actually represents what it purports to represent always helps with making data fit for use, even with more than one purpose of use. Getting a standardized address at contact data entry makes it possible for you to easily link to sources with geo codes, property information and other location data for multiple purposes. Obtaining a company registration number or other legal entity identifier (LEI) at data entry makes it possible to enrich with a wealth of available data held in public and commercial sources making data fit for many use cases. Also, making data real world aligned from the start is a big help when maintaining data as the real world will change over time. Data quality tools will in my eyes also have to apply to this trend as discussed with Gartner in the post Quality of Data behind the Data Quality Magic Quadrant. Data enrichment is one of the core activities within data quality improvement. Data enrichment is about updating your data in order to be more real world aligned by correcting and completing with data from external reference data sources. Traditionally data enrichment has been a follow up activity to data matching and doing data matching as a prerequisite for data enrichment has been a good part of my data quality endeavor during the recent 15 years as reported in the post The GlobalMatchBox. During the last couple of years I have tried to be part of the quest for doing something about poor data quality by moving the activities upstream. Upstream data quality prevention is better than downstream data cleansing wherever applicable. Doing the data enrichment at data capture is the fast track to improve data quality for example by avoiding contact data entry flaws. Getting a standardized address at contact data entry makes it possible for you to easily link to sources with geo codes, property information and other location data at a later point. Having a person’s name spelled according to available sources for the country in question helps a lot when you later have to match with other sources. In that way your data will be fit for current and future multiple purposes.